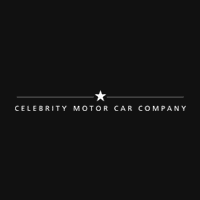 Celebrity Motor Cars has always been committed to being an essential part of the social and economic well-being of the local Union County community. Part of the auto group’s culture is to build positive, strong relationships within their community as well as their customers. This November one of the Celebrity dealerships, BMW of Springfield, hosted its 2nd Annual Turkey Drive featuring a “Cars and Coffee”. For this particular effort, during this season of Thanks, BMW of Springfield as chosen to work closely with The Goodwill Rescue Mission of Newark. The dealership has raised approximately $3000.00 resulting in about 300 turkeys from the fundraising Cars and Coffee event on November 18th. These turkeys were then distributed following the event directly to the shelter. The Goodwill Rescue Mission, founded in 1896, has provided hope to the homeless, hurting and poor in northern New Jersey through a variety of programs that addressed the needs of our neighbors in need at the time. The Mission’s priority is to provide food, clothing, shelter, spiritual guidance and instruction to those whose lives have been nearly destroyed by alcohol, lack of work and other circumstances. With thousands of Union and Essex County families in need, BMW of Springfield’s long term partnership with The Goodwill Rescue Mission of Newark is sure to make an impact on the lives of others.